For weld certification and qualification, Sawyer’s line of weld inspection and tensile testing equipment is hard to beat, and the 50 Ton Guided Bend and Tensile Tester is no exception. It provides accurate, dependable weld-quality testing, whether used in the shop or in the field. 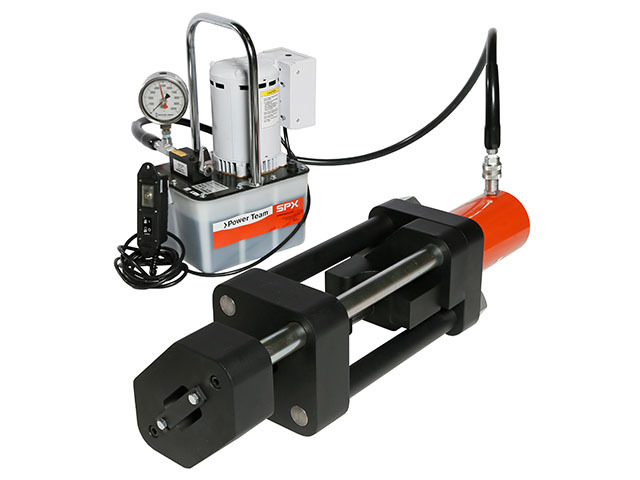 With a high level, liquid-filled indicator gauge, two speed manual pump, pulling jaws, steel carrying case, and .375 (3/8″) ASME die and plunger set that comes standard, this piece of portable destructive weld testing equipment offers the ability to safely perform guided bend and pull testing with a high level of mobility and versatility.